Nice idea for the article... but a couple of oversights. It was Gilmour's very first shift back in Toronto when he was injured, which caused him to retire. 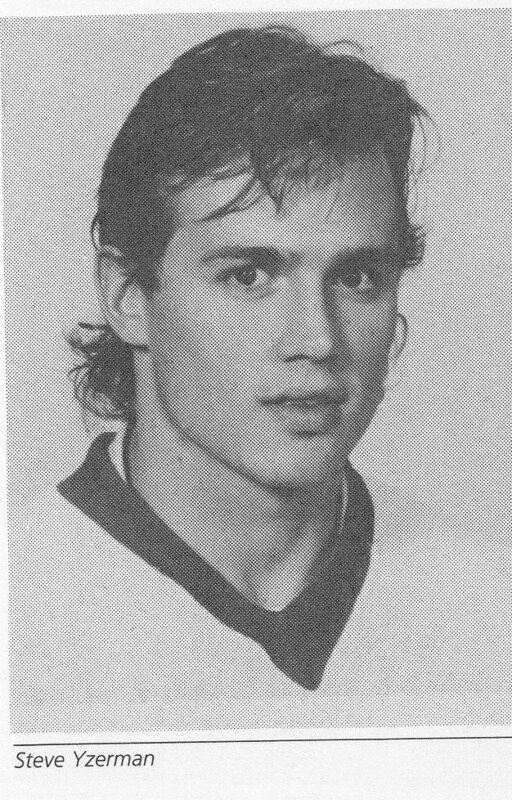 And he's now coaching the Kingston Frontenacs in the Ontario Hockey League. But great comparisons and stat searching! I would have to say it is different leadership roles in the organization helped shape the way Gilmour or Yzerman turned out. If Stevie hadn't become the franchise player we know and love or he had been traded when the threat of a trade could have changed his fate. You have to ask the organizations which these players worked for. It is them which helped turn them into the players they were and who they won with. Stevie didn't always have a winning team and he decided to stay rather than ask for a trade or to explore free agency. Is it an easier rode? I think it is part the organization and part personal choice. He may not have taken the GM role in Tampa because his kids are still in high school and he does not want to uproot his kids or it just wasn't a good choice for him at this time. Easier rode I don't think so. Business is business and you have to create your own opportunities and sometimes if the person you are working for believes in you and you like the place you are working for there isn't a reason to live. Luc Robitalle bounced around to a few teams and he still made it to the Hall of Fame. So I don't think it is a matter of how many teams you play for which gets you inducted into the Hall. Hull played for a few teams too but he is in. You make choices when you are an Unrestricted Free Agent and you can leave or you can get traded. Detroit does love Stevie but to say his road was easier I don't think that is fair. You can say Detroit is loyal to its players. That would be fair.